Now is the Best Time to Buy or Sell a Home. Let's Talk. I am a dedicated real estate professional here to serve the best interests of my clients. I specialize in helping people successfully buy and sell real estate in Mountain House, Tracy, Lathrop, Pleasanton, Livermore and Dublin. I pay close attention to my clients real estate wants and needs. I have great relationships with all of the local real estate agents, and have knowledge of listings before they hit the market. Search the MLS, Set up alerts and more! I can't speak highly enough regarding the service I received from Mike. So many attributes, but probably at the top of the list is his integrity. From the first moment you meet him you will immediately get a sense that he is on your team-and is the team captain! He is extremely responsive and always willing to work with you on brain storming ideas or strategies. I was especially impressed to learn that he lives in Mountain Home and knows the area like the back of his hand. Look no further, for either a purchase or a sale, he's the best! Mike is a great real estate professional. He has a wealth of knowledge with the local market landscape. He is not too pushy and offers his recommendations. He will list the pros and cons for each to help you make the best decision. We are repeat clients and will not hesitate to work with him again. We have also have referred friends who he has successfully provided great service too. I was really impressed with Mike Samawi. He is a local Mountain House resident and understands the market trends /value of the homes. His excellent negotiating skills pulled through for us when we were competing with a cash buyer during bidding war. I never thought we would have a chance, but Mike pulled through for us. In addition to his professionalism, he is really a nice guy. He is sincere and thoughtful--he really cares about his clients. 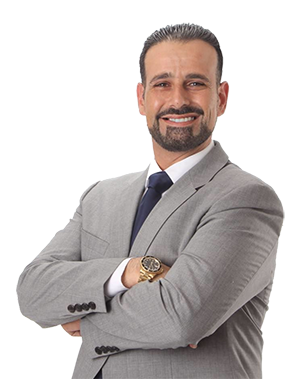 So if you're looking to sell or buy--don't hesitate and contact Mike Samawi!